Family Accommodation "Sun Drenched Beach House with Ocean Views!" 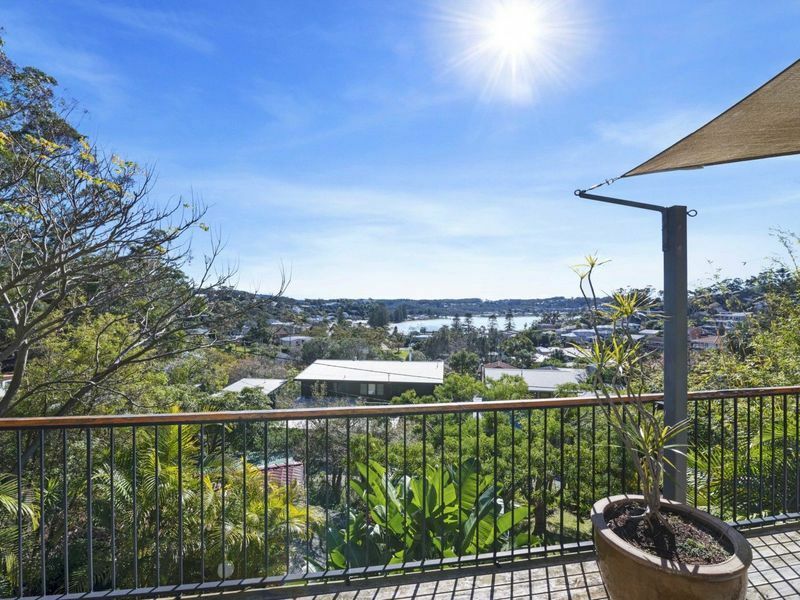 Wonderful ocean views and only a 4 minute walk to the rock pool end of Avoca Beach. This tastefully renovated beach house could easily accommodate 2 families. Pet Friendly. The upstairs main living / dining area is open plan and has sweeping views to the beach and opens out ot the large deck with barbeque and outdoor furniture. This area has comfortable seating, a TV and DVD player. Modern kitchen looks out to the back yard bush setting. The second lounge area is a smaller room for quiet reading and reflection with cedar louvres opening to the Avoca gum trees. Downstairs, Bedroom 1 contains a king size bed, TV and desk. This adjoins a beautiful, large bathroom with double shower. Upstairs, Bedroom 2 boasts a queen bed and king single and a trundle and opens out onto the deck. Bedroom 3 contains 2 king single beds, and a rumpus area at the other with TV and DVD player. This bedroom also opens out onto the deck. Linen not provided. There is no garage at this property. Limited off street parking. There is a trampoline in the back yard - please use at your own discretion. Charming Avoca Beach is perfectly suited for families with a well-protected rock pool, patrolled surf beach, children's playground, boutique shopping and a la carte restaurants as well as alfresco cafes overlooking the beach. Step back in time at the award winning, character filled Avoca Beach Picture Theatre where featured movies range from unique 'Indies Films' to the latest box office smash. Go barefoot bowling, have a hit of tennis or hire a kayak or paddle boat on Avoca Lake. Bond - Credit card imprint required at check in.